Renting a residential property is a high-friction process, plagued by mishap, misunderstanding, and misfit. It’s painful for both landlords and tenants: most of us have scars on our backs from at least one bad experience. Tenants (renters) — and there are a growing number of them — wade through a myriad of (outdated) listings, are locked in to cumbersome 12+ month leases, and then need to renew for another similar period. Renters are often subject to unnecessary agent fees, and, if they sublet, may find themselves stuck with incompatible housemates out of apparent ‘necessity’. Flat-sharers also manage the household by spreadsheet, or not at all, as the case may be. Landlords in turn suffer (i) voids, (ii) mixed service from cowboy property managers; and (iii) problem tenants. Service is provided by analog methods (paper, phone), conducive to human error. Performance and responsiveness to maintenance and upkeep requests is patchy. Some are turning to Airbnb as one possible solution, but that comes with its own set of issues. Enter Lyvly. Realizing that long-term residential property rental isn’t working for either side of this marketplace, Lyvly is setting out boldly to reshape the industry. Lyvly is building living communities. Members don’t ‘just’ rent a property, but rather live in furnished homes in central locations and are able to participate in community events, take advantage of time-saving services, and engage with a connected network of like-minded neighbours. Lyvly provides the landlords with a better deal too: a turnkey property management solution and happy tenants who stay longer. It’s a win-win. There are several elements to the secret sauce. One is that Lyvly has crafted a better ‘matchmaking service’: Lyvly’s system aims to match renters with housemates who have similar lifestyles or interests. At face value, this feels like a ‘nice to have’; but in real terms, it means that fabled ‘nightmare housemates’ can be minimized, with the consequence that tenants live together for longer periods (the average tenancy is 16–18 months). When someone does leave, the existing housemates are co-opted to fill the vacancy from the waiting list of Lyvly renters, reducing the likelihood of anyone eating the cost of an empty room. Lyvly has re-centred the market around the individual renter, to the benefit of both the renter and the property owner. The business model is elegant too. Unlike WeWork, Lyvly is asset-light. They do not own the properties or sign 10 year leases — instead they are a technology-enabled “managed marketplace” providing a full suite of services between landlord and tenant. It is a higher-touch version of Airbnb, which has satisfied an analogous need in short-term holiday lets. ‘Co-living’ is a new segment of the residential market, with several entrants on both sides of the Atlantic. 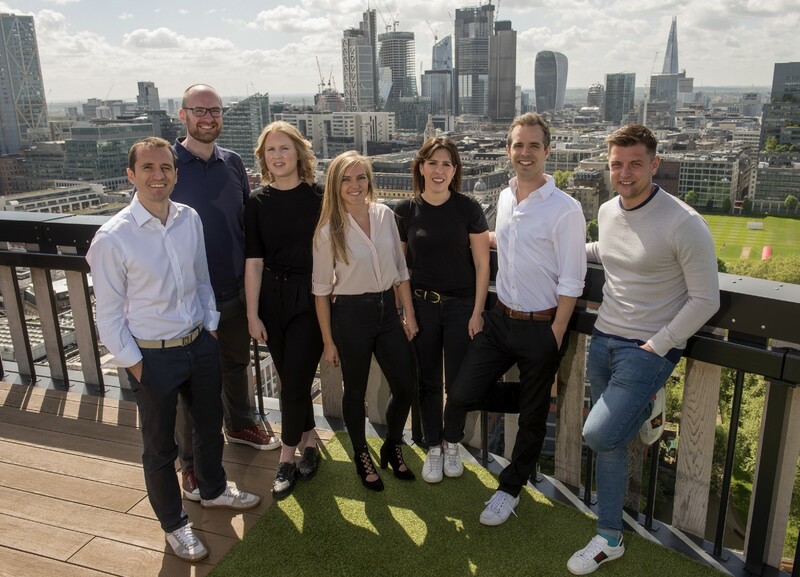 We think Lyvly’s pioneering approach is well-positioned to win, not just because of their innovative model, but also due to the excellent team. Co-founders, Phil Laney and Dario Favoino, are two residential property veterans. Each bring long-standing industry expertise and have managed large residential portfolios, valuable experience as the company expands. The third (non-exec) co-founder, Siraj Khaliq, is a proven tech entrepreneur who previously built Climate Corp into a $1B+ outcome. Phil has also attracted a strong bench of angel investors, including Greg Marsh from onefinestay as Chairman. The residential long-term rental market is a multi-billion dollar asset class where business model innovation is long overdue. Welcome Phil and Dario to the Mosaic family!